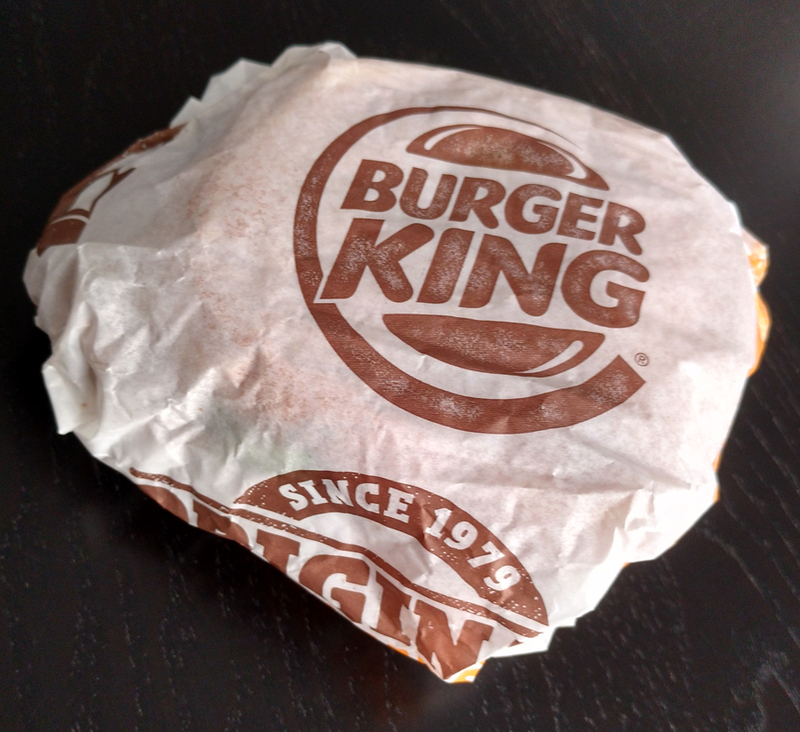 I have heard a lot of buzz about the Burger King Crispy Chicken Sandwich, so we stopped by this weekend to pick one up and check it out. 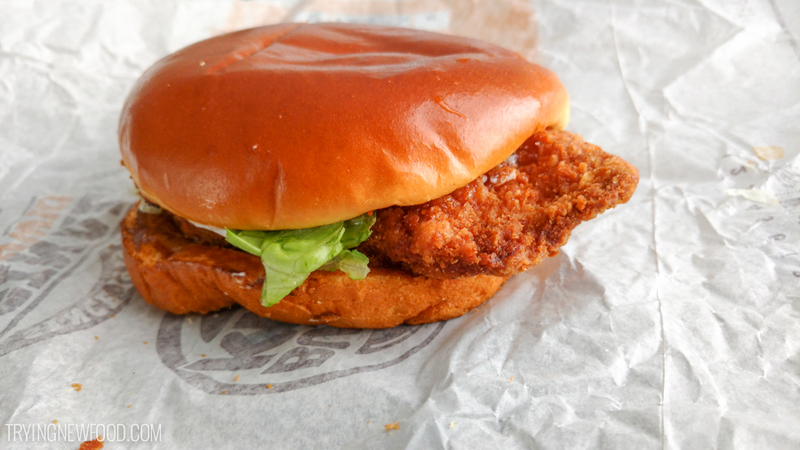 My Burger King Crispy Chicken Sandwich itself was very appealing. I was shocked when it actually looked pretty close to the one in the commercial — that never happens! I thought my chicken was even better looking than it was in this video. 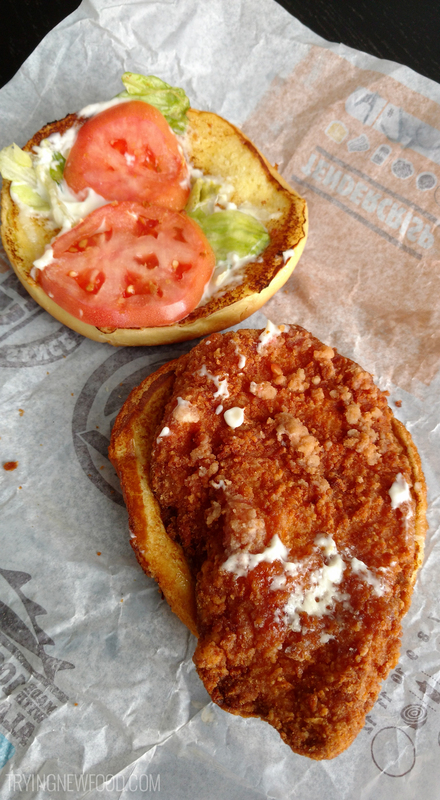 A large piece of crispy, breaded chicken on a potato bun with two tomato slices, lettuce and mayo. 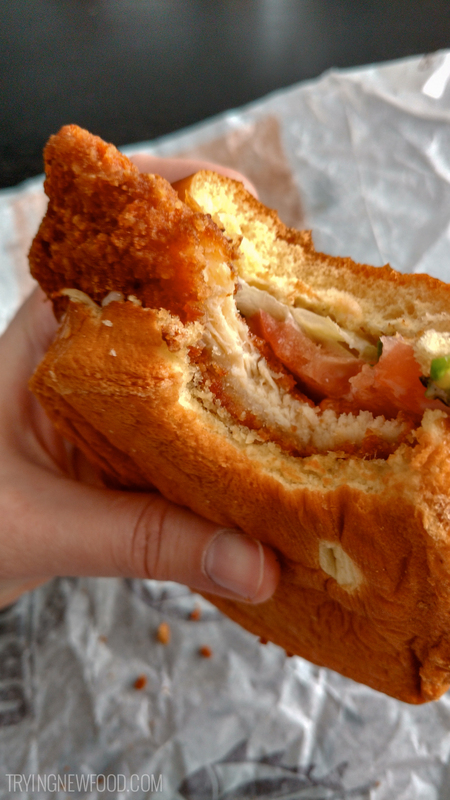 The breading was really flavorful and my favorite part of the whole sandwich. The only negative was that the chicken was thin and wasn’t able to be as juicy as Chick-fil-A chicken. Even though I had see a bunch of ads for it, I hadn’t heard that it has a potato bun. It was a happy surprise to me because potato bread is awesome. Maybe not awesome if you’re counting calories, but hey. You gotta treat yourself sometimes. At 670 calories, it’s not something I could order often, but it’s certainly tasty. 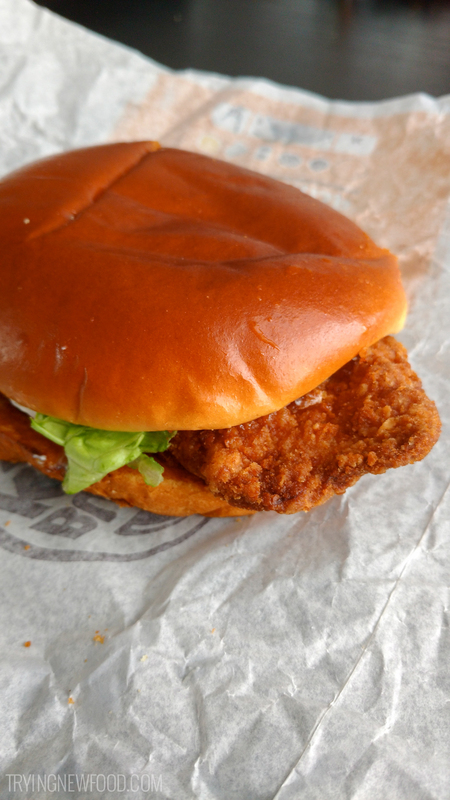 A welcome addition to the BK menu. I hope it sticks around! Look pretty tasty. Maybe I’ll pick one up soon.